Statistics shows that around 65% of the people do not have well-aligned front teeth. Good thing is that there is a new alternative to braces to perfect your teeth. 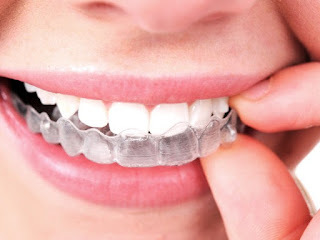 Invisalign is an efficient technology that uses clear aligners to fix spacing issues, crowding and bite imperfections. This article will discuss the Pros and Cons of invisalign use. Patients are always advised to avoid chew gums and eating certain foods once they get their braces fixed. In fact, if you eat some foods, you will end up damaging your wires or brackets. The good thing with invisalign is that you are allowed to eat whatever you like. The aligners can be taken off your teeth easily so you do not have to worry about damaging them. People with braces always encounter difficulties when brushing their teeth. Food gets stuck in places that your toothbrush can’t reach. This is why you find most people with braces have plaque or tartar build up on the teeth. On the other hand, people with invisalign aligners have an easy time cleaning their teeth. You can pop out the aligners easily and do your brushing and flossing normally. It takes some time for one to get used to a new appliance fixed in your mouth. Amazingly, patients have praised Invisalign aligners for their comfort level even when you are new to them. They have no brackets and sharp edges that will irritate your cheeks or tongue. The orthodontist provides you with multiple sets of aligners for you to change after two weeks. You may experience minor tightness after changing the aligners, but it only lasts for one or two days. If you’ve ever had braces placed in your mouth, you might have seen discoloration of their teeth on the sections the brackets were. This is a condition that is brought about by patients consuming staining foods or sugary foods. You can avoid teeth discoloration by using invisalign instead of braces. The fact that invisalign aligners are not mounted to your teeth, it is easy to clean your teeth thoroughly. Unlike braces where you have to visit the orthodontist regularly to get the wires fixed and tightened, patients with invisalign do not require orthodontists since they have multiple sets of aligners tp change on their own. Although Invasilign patients have orthodontists appointments, they are not as often as compared to those who have braces. A high percentage of people complain that braces are not attractive since they are noticeable. Good thing is that with invisaligns, you can smile comfortably without anyone noticing them. The aligners are built using clear plastic meaning that they are hardly noticeable. While there are so many benefits associated with invisaligns, there are a few disadvantages about the invisalign aligners. In case you choose to have invisaligns, you must be willing to clean your teeth thoroughly and regularly. Orthodontists recommend that you brush and floss your teeth after any meal. Although it might seem as annoying activity, you’ll reap the benefits of teeth whitening and improved oral health during the course of treatment. It becomes boring to remove the aligners every now and then before eating or drinking anything. On the other hand, this influences people to avoid snacks during the day so as to avoid removing the aligners. For invisalign aligner to work perfectly, you must follow the rules to a tee. Invisalign aligners must be worn for about 22 hours every day. Failure to observe the rules will lead to undesired results.